When hosting your destination wedding in beautiful Charleston SC, what better way to welcome your guests then a rehearsal dinner in one of Charleston’s best restaurants? The rehearsal dinner is a great way to meet and greet your guests and show them a warm southern style welcome complete with the best food in the city! We’ve compiled a list of our favorite rehearsal dinner locations to help make the decision a little easier! 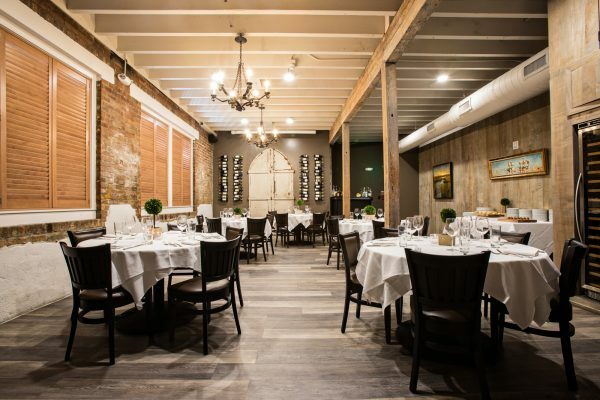 All of the options listed below have private locations to host your gathering or are available for a restaurant buy out and make for perfect Charleston rehearsal dinner venues. We invite you to enjoy a different event experience: a less formal, more relaxed gathering; kick back, laugh loudly, and enjoy your celebration! Within a historic Charleston home, our space takes cues from much of the reclaimed, comfortable charm that makes Leon's so inviting. Situated in the prime of Charleston’s nightlife scene, Upstairs at Midtown is a unique private event venue. A lengthy renovation restored the historic beauty to the venue. Perhaps the most noteworthy feature of the venue is Upper King’s only private rooftop patio. Tradd’s is a modern, American restaurant opening this summer in downtown Charleston. Inspired by the Holy City's warm and welcoming hospitality, Tradd’s focuses on sophisticated style, and a refined menu. The Upper Level Gallery offers two elegant dining rooms located directly above Magnolias restaurant. The Wine Room accommodates up to 36 guests and the Primrose Room comfortably seats 85 with balconies overlooking Lodge Alley and its neighboring courtyard. Tucked away on charming Queen Street in downtown Charleston, Poogan’s Porch is one of Charleston’s oldest independent culinary establishments, with a fresh approach to Lowcountry cuisine. This beautifully-restored Victorian house offers the ideal setting for events. The Alley Charleston is not just a bowling alley; it’s a one-stop entertainment hub that has excellent food and beverage options. The Alley offers to event spaces the Upstairs Mezzanine that can hold 40-100 guests, and the Bowling Bar space that holds 20-40 guests. The Main Floor contains our full service restaurant with covered patio. The second floor is a large banquet space, with dining room and piazza. It serves as both an event space and a reservations only, family style dining area for groups. Historic bricks and wood columns provide glimpses into the circa 1856 building’s industrial past. Bespoke, luxurious interiors complement history to culminate a landmark venue. Merchants Hall is palpably exciting, while maintaining and emphasizing Charleston’s unique history. The restaurant can accommodate 130 guests inside with seating at the expansive bar, communal tables, and plush booths throughout. The Bower accommodates 100 seated and 200 standing for cocktail receptions under the newly opened temperature control structure. In the heart of historic downtown Charleston, High Cotton is the ultimate setting for distinctive wedding events. With its blend of Southern style and sophistication, High Cotton takes wedded celebrations, rehearsal dinners, receptions and luncheons to new heights. It’s no surprise that one of the country’s most beloved and historic cities is home to an Art Deco gem like The American Theater. Today, this stylish event venue on Upper King Street sets the stage for life’s greatest scenes, perfect for from weddings and dinner receptions. This renovated historic warehouse space is your perfect venue for all types of events. Whether you are planning company get together, a small engagement party, or a lavish wedding reception, we will exceed your grandest expectations. The Long Room at McCrady’s Tavern is a private dining and events space located on Unity Alley in historic downtown Charleston. For more than two centuries, the Long Room has been one of Charleston’s favorite gathering places for social affairs. Situated on Charleston’s storied East Bay Street, Pawpaw offers a modern, Southern-inspired, sharable menu. Our goal is to offer the best southern food in Charleston, SC. Focusing on family farms and seasonality, Pawpaw’s menu changes according the peak seasons for local ingredients. Bohemian elegance meets Southern charm at the corner of Meeting and Wentworth streets. Discover modern American cuisine with a coastal influence while enjoying spectacular views of Charleston’s historic skyline. Élevé’s carefully crafted menu, offers an ideal venue. With its premiere location in historic downtown Charleston SC, Stars is an exceptional event venue. They offer customized menus for parties as few as 15 to as many as 140. Our event specialists will work alongside you to ensure every detail is exactly how you imagined. The Upstairs at Virginia’s dining room is completely separated from the downstairs dining room. Purposely designed to host small receptions, rehearsal dinners and bridal luncheons, Upstairs at Virginia’s is your ideal local for your special occasion! The Dewberry is a local landmark. Echoing Charleston’s historic charm and architectural grace, The Dewberry has become a sought-after event setting for those who appreciate timeless elegance, historic preservation and artistic collaboration. Mercantile mash is a gourmet food emporium, located in the recently renovated cigar factory on East Bay Street. Offering a unique selection of homemade items and local products. They pride themselves on hospitality and service. Located on the scenic Ashley River at Joseph P. Riley, Jr. Park, you can enjoy views from every direction. 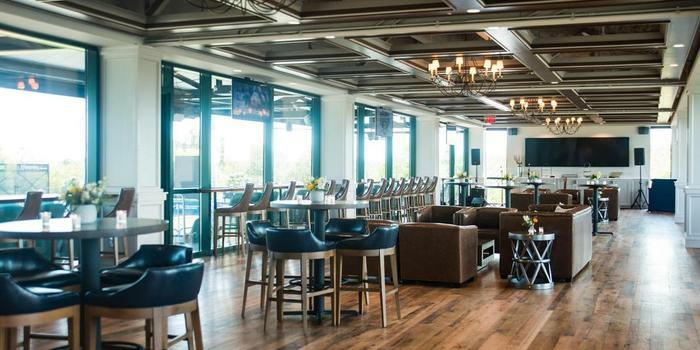 The space functions as premium gameday entertainment on RiverDogs home games, and flexible event space 365 days a year.